As the sun begins to set in view of Chi Sigma brothers at the University of California, San Diego, brothers at Sydney Metro in Australia prepare for Havdalah by removing candles and spices out of a small blue AEPi branded drawstring bag. It could very well be the largest Shabbat dinner in the world. We call it Shabbat Across AEPi – across six different countries. That Friday, November 2 – just six days after the Pittsburgh synagogue shooting – brothers held our eighth annual fraternity-wide Shabbat dinner, amplifying what it means to be the Jewish fraternity in wake of events that should have silenced us. 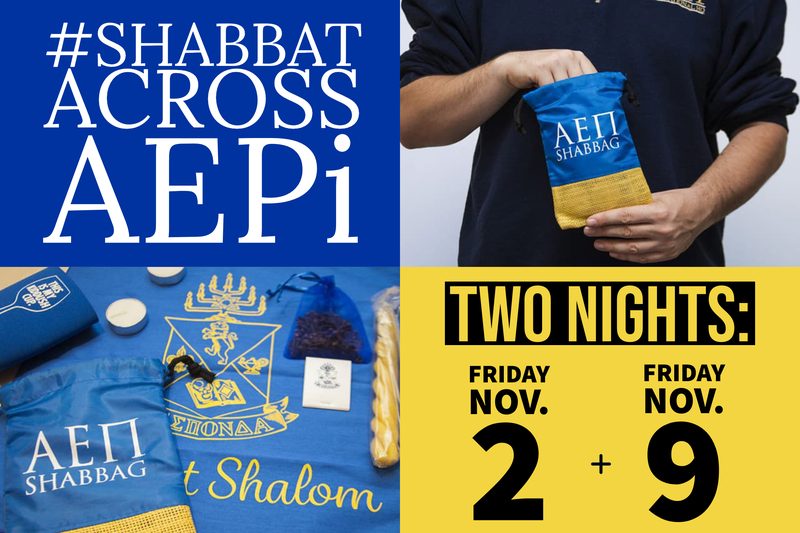 Equipped with a “Shabbag” sent from headquarters and a sense of urgency like never before, two-thirds of AEPi chapters refrained from perhaps going out that night and enjoyed the company of their brothers after lighting candles and making blessings on bread and wine. Although saddened by the atrocities in Pittsburgh, AEPi did not change its tune. A speech made by the late Israeli Air Force Commander Benny Peled – in the aftermath of the Yom Kippur War – reminds us that like a harp, the people of Israel will continue to play. And, even if some strings happen to break, the tune must and will go on. Shabbat is something that can never be taken away from the Jewish people. The brothers of AEPi will go on to play our tune in all the good that we do.